This site is lovingly thrown together by a 30 something year old chap in London. He has no affiliation with Samsung and this site in no way represents any official view. All information is provided in good faith with a fair degree of research and consideration but please remember this is just a site put together by an enthusiast. Official support can be found on the Samsung site! Please contact Samsung if you need support and help with your netbook, this site is not responsible for any problems you may have! SammyNetbook.com now has over 100,000 hits every month, with 1000s of daily unique visitors made up of regular forum viewers and new prospective Sammy fans :)! You can email me at my gmail.com account: sammynetbook. Although it is checked regularly if I am away if may take a few days to respond – please be patient. If you need to report a forum post then please use the “Report Post” button to notify the moderators. Note to advertisers and retailers: I do not sell contextual links on this site, if I like your products then I’ll link naturally! If you wish to advertise then please use the adwords network or point me in the direction of your affiliate programme. 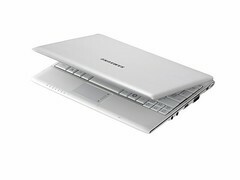 September 2010 NF310, NF210 and NF110 netbooks announced. The dual core N550 is coming.